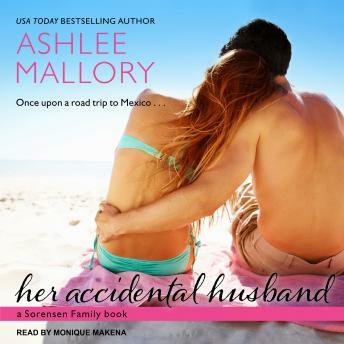 Payton Vaughn's trip to Puerto Vallarta for her friend's wedding was her big escape from her ridiculously overbearing mother-oh, and that little matter with her cheating fiance. Now, her flight's been cancelled, and she's crammed into a tiny car with the gorgeous-but-irritating best man. Viva la road trip from hell . . .
Cruz Sorensen doesn't have time to babysit some spoiled socialite, even if she is the future daughter-in-law of the man who could change the fortune of his family's company. He has no business getting to know her better-not even for all the tequila in Mexico . . . until they wake up with grande-sized hangovers as man and wife. Now Payton and Cruz must decide if they've reached the end of their journey . . . or the beginning of a new adventure.